Your chance to start planning for life beyond the classroom. Join us for a full-day of workshops, panels, and one-on-one time with CTOs and Dev Teams from companies that want to meet you! Postsecondary students studying computing science, computer engineering, or design with specialties in Web Design, User Experience, and Visual Communications. High school students with interest in computing science are also encouraged to attend - Comp Sci 20 or 30 required. *Please note: Valid Student I.D. is required at the registration desk. 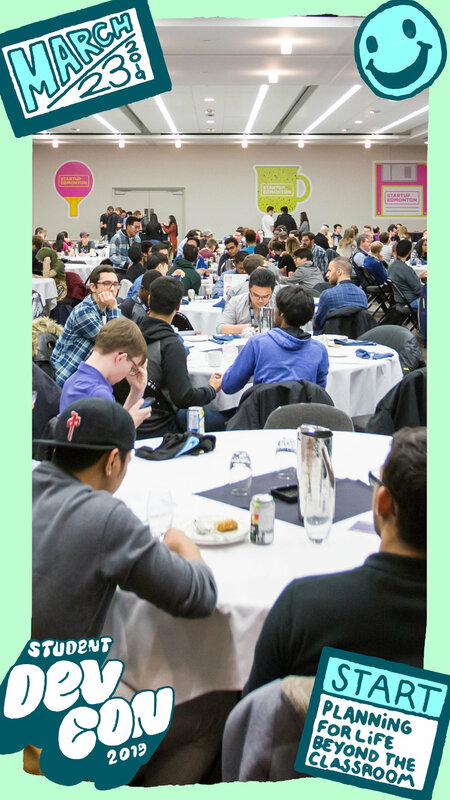 If you are not currently a student and interested in attending the program, please email hello@startupedmonton.com. Full line-up of speakers coming soon!